Teresa is one of our part-time Client Care Coordinators. She brings extensive client service and administrative experience from her past roles in the group insurance industry. 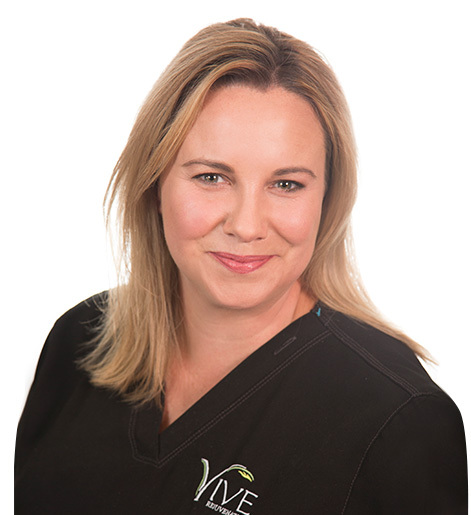 Teresa is passionate about the medical grade lines of Skincare Vive offers, and is happy to help our clients find the right product to meet their skin rejuvenation goals. Teresa is always caring, attentive, and willing to help make every client visit a great “Vive Experience”. Teresa’s favorite products are the Clarisonic Mia 2, ZO Hydrafirm Eye Brightening Repair Cream, ZO Liprebuild Advanced Therapy Lip Treatment, Skinceuticals C E Ferulic and Vivier GrenzCine Neck Cream. She also loves the glominerals make-up products – especially the Lip Crayon! Her favourite treatments are Laser Genesis and Venus Legacy.